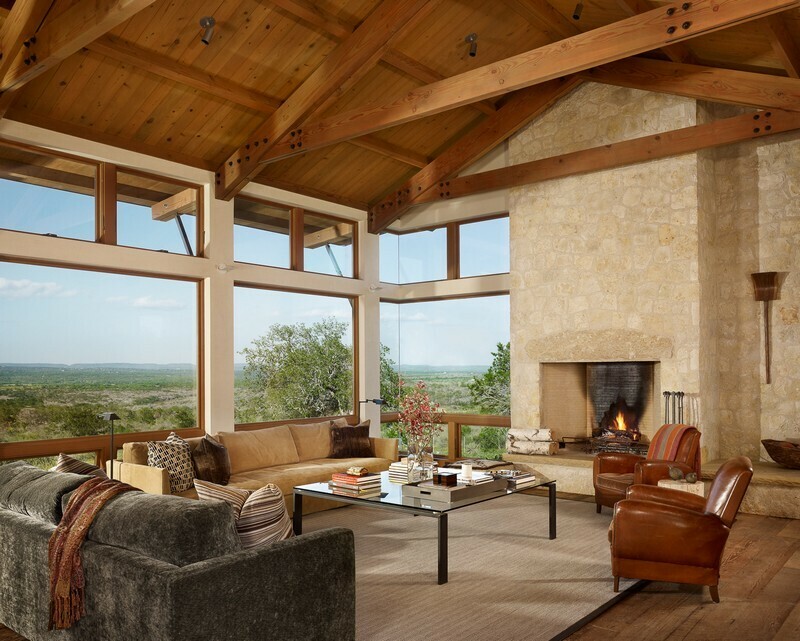 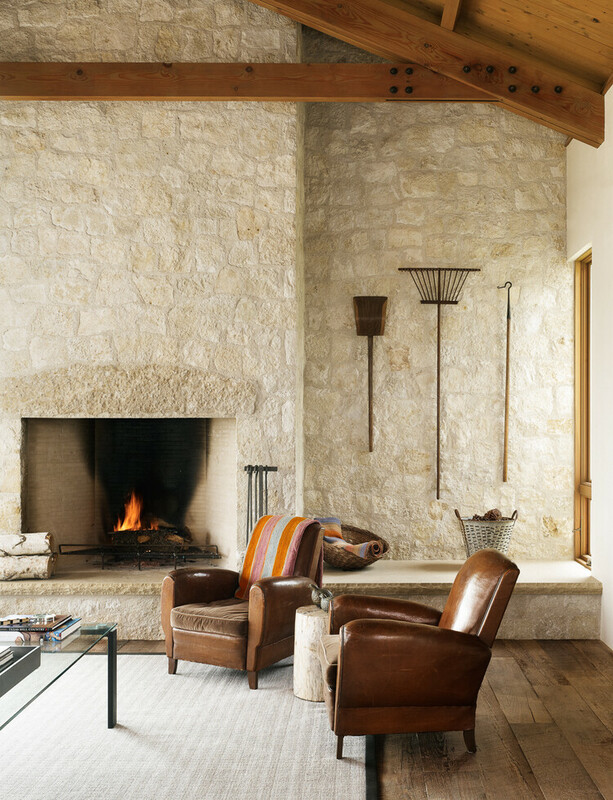 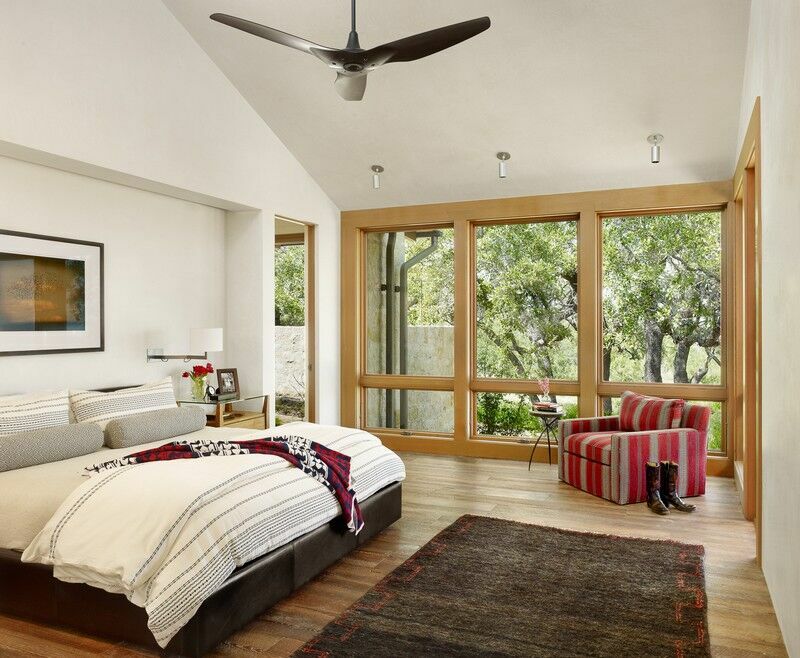 This Spicewood ranch is located outside of Austin, in the beautiful Texas Hill Country. 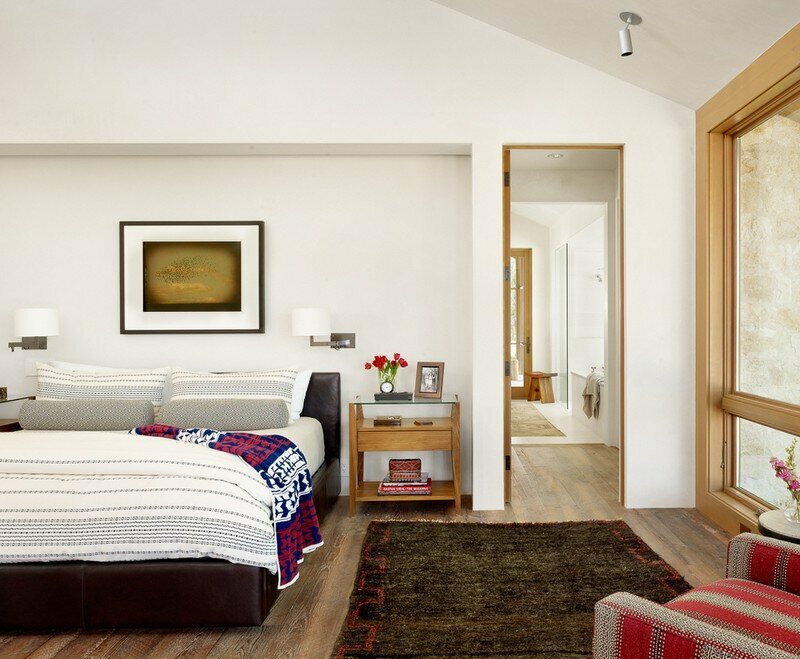 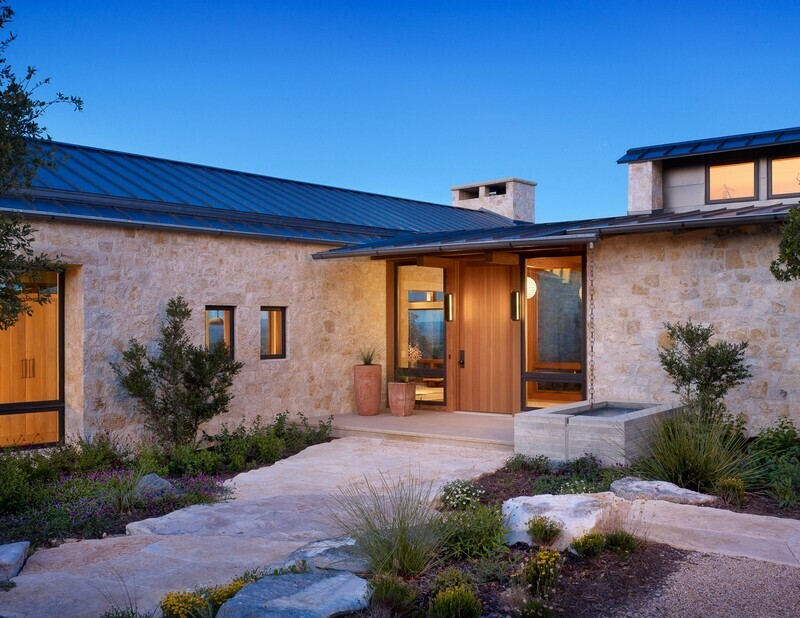 This ranch is the result of a three year collaborative effort between Mark Ashby Design, architects Furman + Keil, and builder Classic Constructors. 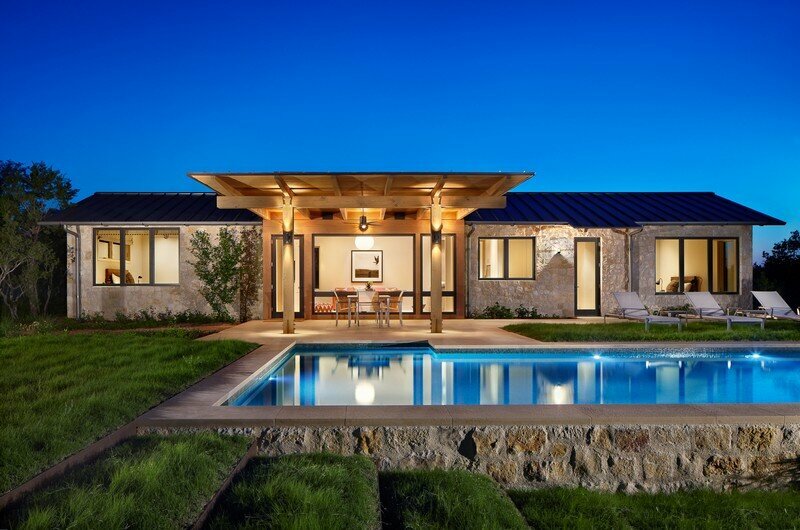 With its extensive indoor/outdoor spaces, including an open sleeping porch and a separate poolside guest house, this home takes full advantage of its expansive views. 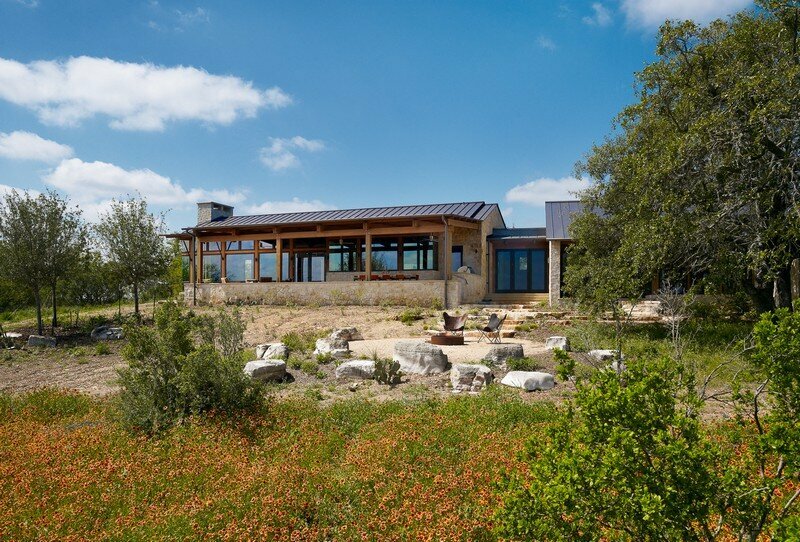 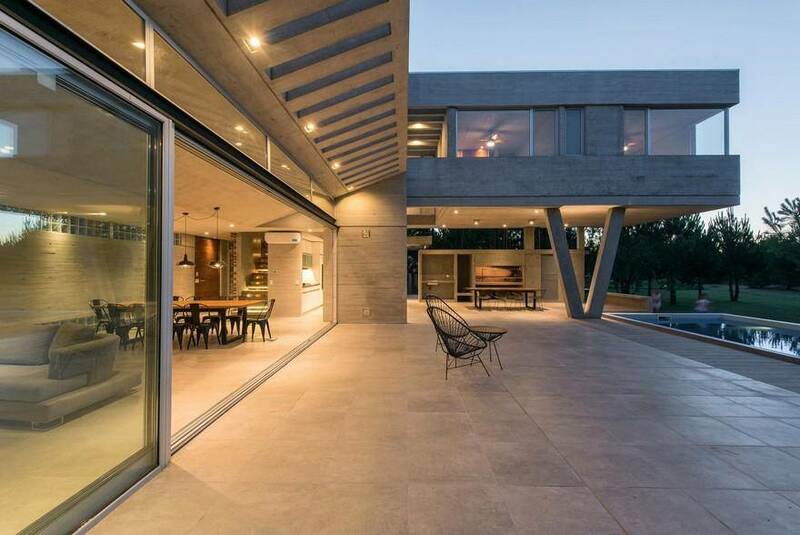 The house is anchored to the site by a majestic hill-top oak. 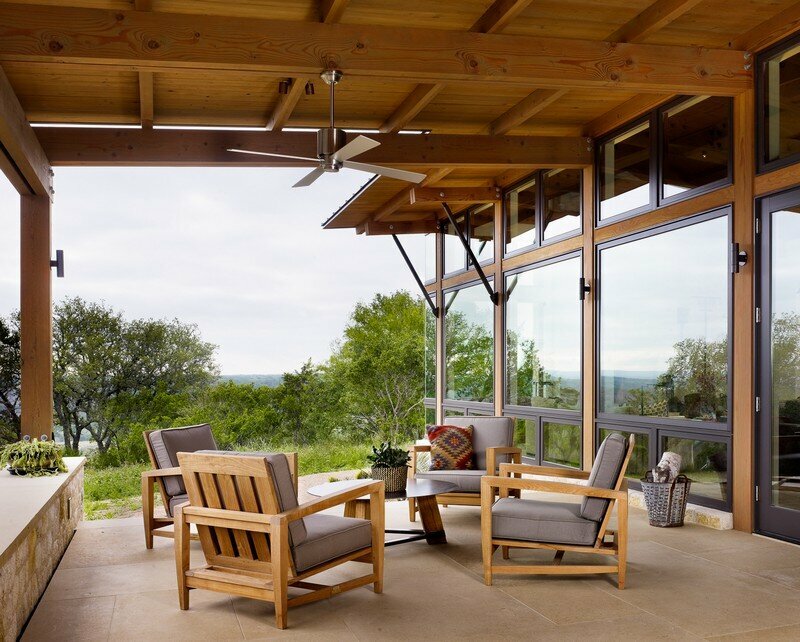 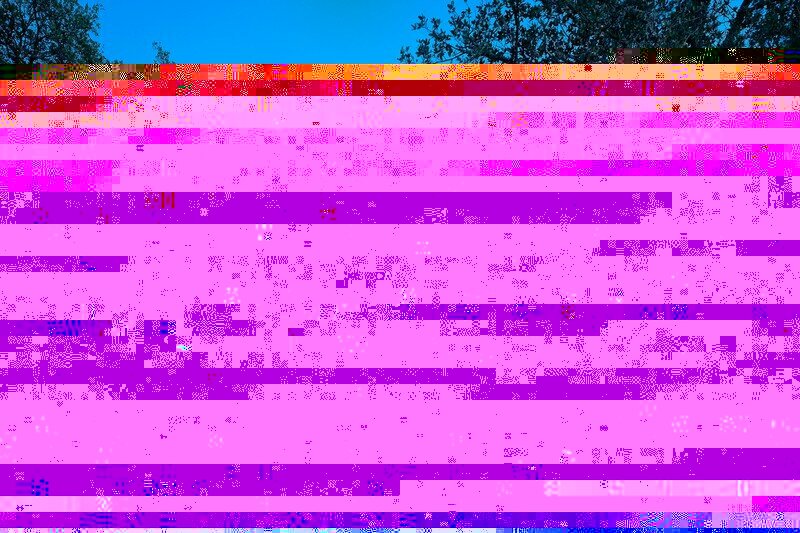 Various realms expand downhill, opening towards views of the surrounding hill country. 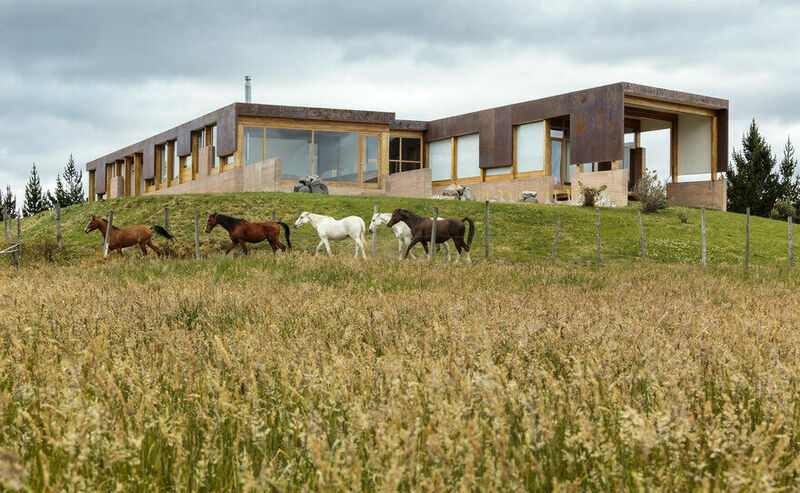 Each building element is situated with respect to its place in the landscape and corresponding views while carefully considering the composition of the whole. 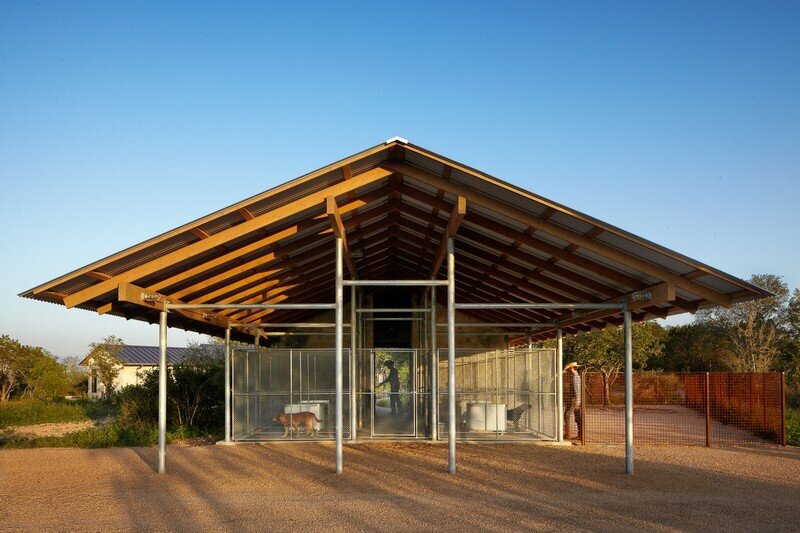 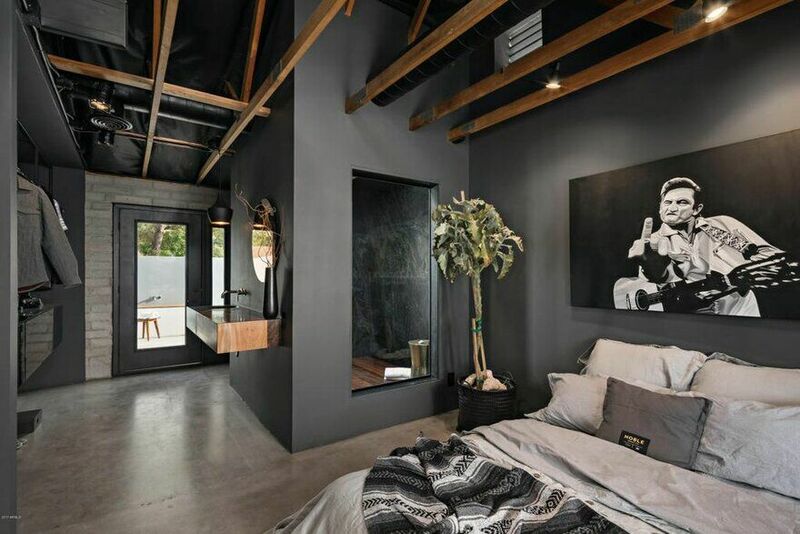 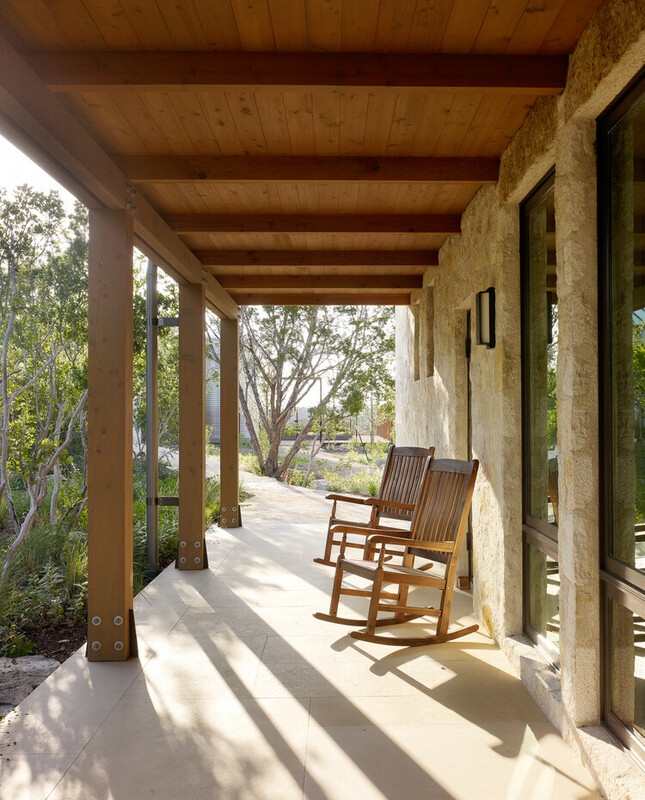 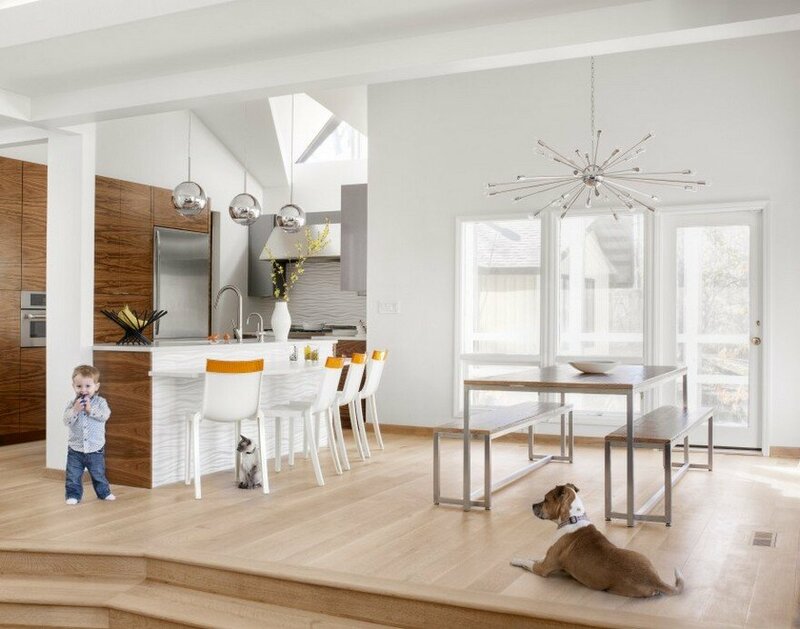 The structure merges the desire for comfort, refinement, and modern living with the straightforward construction and materiality of ranch elements like the dog run, carport, cattle fencing and cisterns. 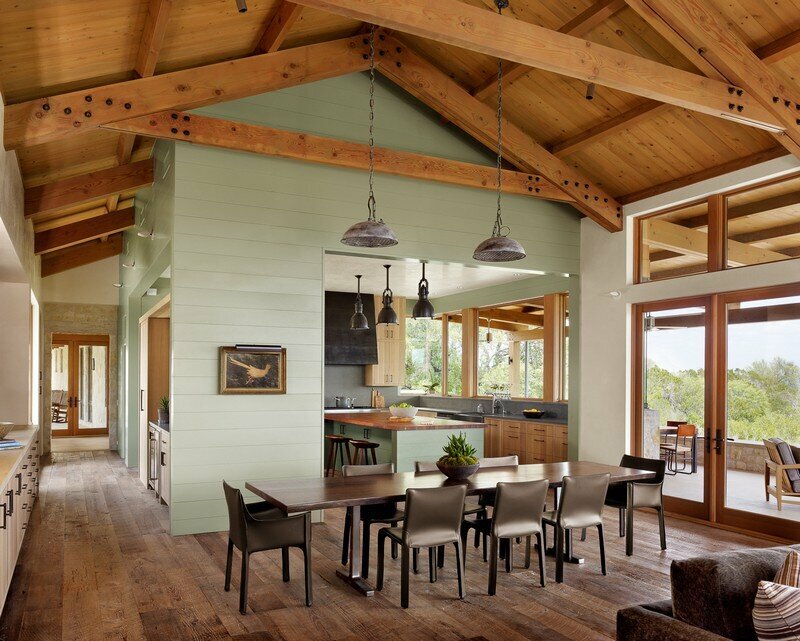 The rhythm of wood trusses and purlins in the main living area is expressed to the interior. 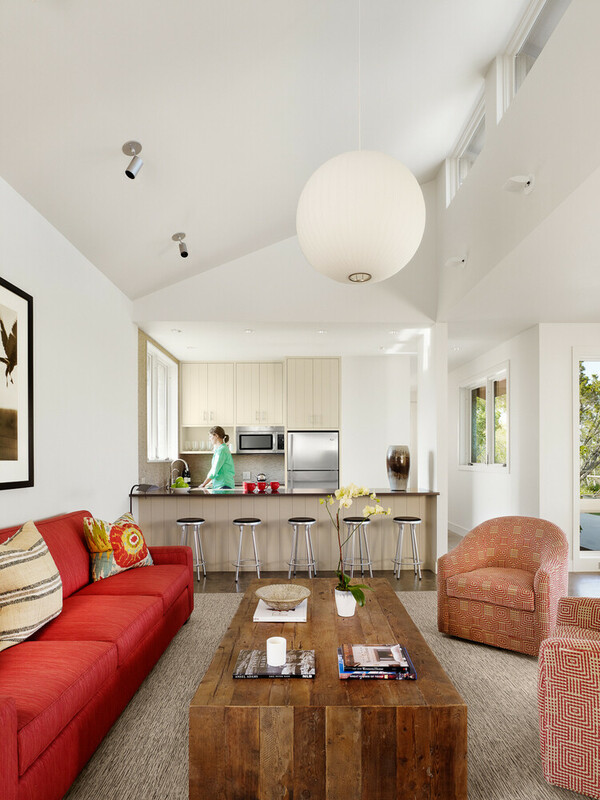 A “cold roof” of rigid insulation is constructed above these conditioned spaces. 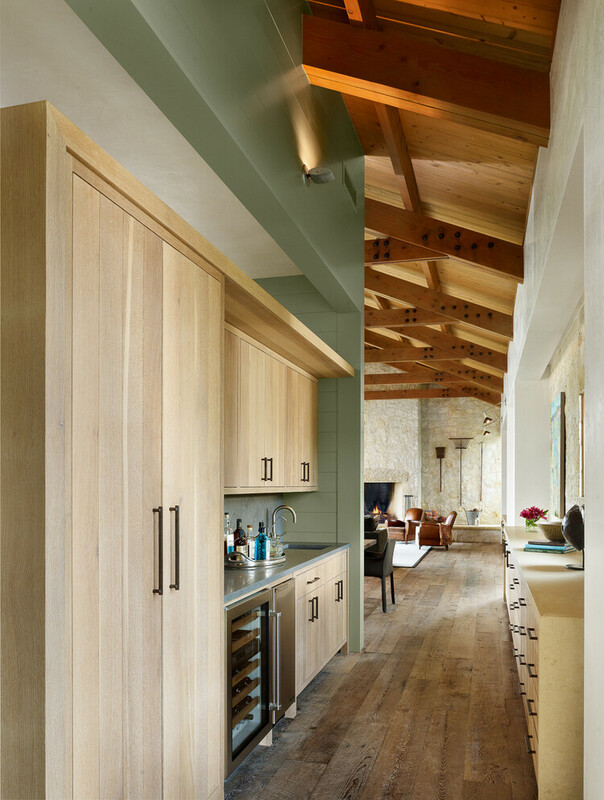 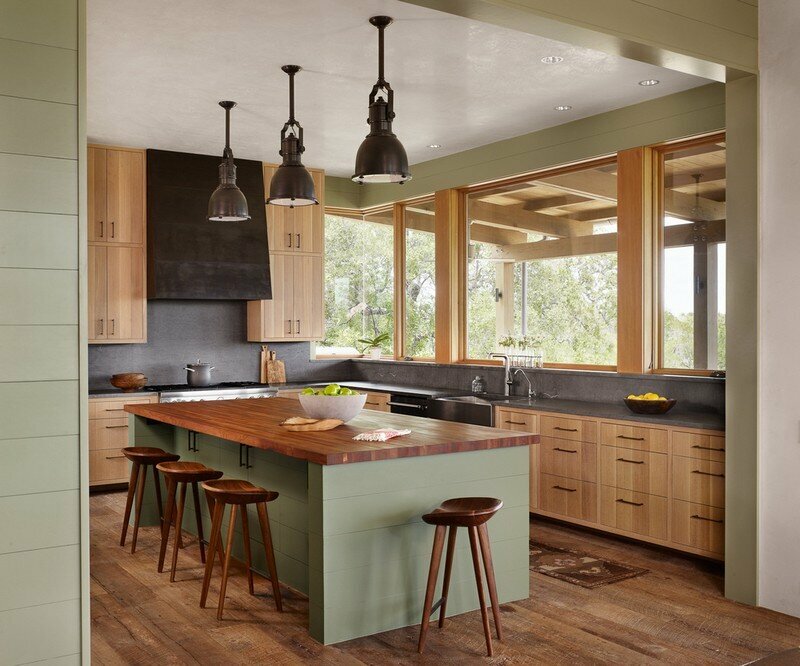 The kitchen is conceived as a painted wood clad building inside the larger main volume.